For years I thought I was alone in my struggle with oily skin. I thought it was something I would always battle with and lose. Then one day the stars aligned and my oily skin and I finally called a truce. The truce didn’t last long. After a while, I noticed that my skin was oily and shiny all the time. Not just at the end of the day like was during the truce. My mineral powder makeup was disappearing from my face a few hours after application. Also, my pores were smiling back at me and I was breaking out more than I had in years. 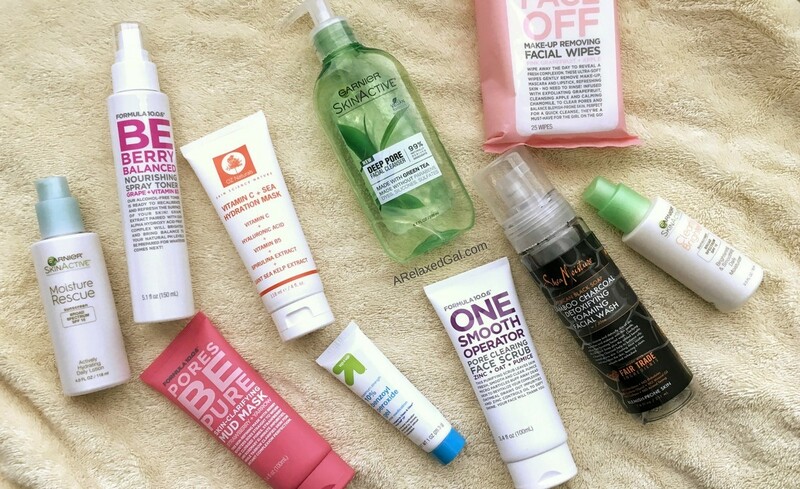 Read more: Can These SheaMoisture Products Help Oily Skin? It was frustrating and embarrassing. I wasn’t sure what to do. So I sat down one evening and spent hours watching YouTube videos and reading articles about how to shrink pores and take care of oily skin. I can be a pretty loyal person especially when it comes to beauty products that work for me. I’ve been using the same facial cream cleanser for years. What I didn’t realize is my skin was changing and that cleanser was no longer working. Instead of a cream cleanser, I needed a foaming cleanser that was going to get deep into my pores and remove excess oil from my face without drying it out. This is where the Garnier Skinactive Deep Pore Face Wash With Green Tea came in. This experience has also caused me to rethink all of the products I use and realize that I may need to mix things up every now and then. Who's ever thought that hot water was a cure for oily skin? I did. So I used hot water on my face all the time. I would even wash my face in my steamy hot showers. All this was doing was drying out my skin which caused it to create even more oil and open up my pores. It was a vicious cycle. Instead of using hot water on my face, I now use mild or cold water. It's much better for my skin and even helps to shrink my pores. Over-cleansing can be bad for your skin. It can dry out your skin causing it to produce more oil to compensate. Keeping that in mind I did decide that cleansing my face more often than less was better for my skin. Previously, I had been buying into some of the skin care tips that I didn’t need to wash my face in the morning. So for months before my skin threw a fit, I wasn’t washing my face in the morning. I would splash some warm or hot water on my face and maybe use toner, but that was it. Now I always use a makeup remover towelette to remove my makeup at night or once I return home after being out. I also wash my face day and night. I’ll even sometimes wash my face twice at night if my makeup was on the heavier side so I can make sure it all gets washed off. Doing a facial scrub can be helpful when you have oily skin. When it’s done in moderation. I used to do a facial scrub every day with the St. Ives Blemish Control Apricot Scrub. And surprisingly my skin responded positively to it. But as I’ve gotten older that is no longer the case. I’ve come to realize that while removing dead surface skin is important I can’t and shouldn’t do it every day. That will just cause irritation and have a negative versus positive effect on my skin. Mud masks are great for oily skin which I have because they can help reduce shininess and clear out pores. If I’d realized that I would have done masks more often and actually done mud masks in the past. To help get my skin back on track and staying on track I use the Formula 10.0.6 Pores Be Pure Skin-Clarifying Mud Mask a couple of times a week. I used toners back in my high school days but stopped because the toners were full of alcohol. Instead of helping my skin like toners should they dried out and irritated my skin. So I stopped using toners and didn’t use any for years. As my skin started to change I realized that bringing a facial toner back into my routine was necessary to help remove traces of oil and makeup, soothe my skin, and restore the pH balance of my skin. The facial toner I’m currently using is a homemade one with witch hazel, apple cider vinegar, tea tree oil, and water. I can’t remember where I got this idea from but I thought that because my skin was on the oily side I didn’t need to moisturize my skin every day or every time after I wash it. So there were times that at night I wasn’t using a moisturizer so my face could dry out. That obviously had the opposite effect. Now I know that oily skin can be dehydrated which can cause an overproduction of oil. For me, the key when it comes to using moisturizers on oily skin is to use light, fast-absorbing, oil-free moisturizers that hydrate without adding too much oil to my face. Moisturizers like Garnier Skinactive Clearly Brighter Brightening & Smoothing Daily Moisturizer SPF 15. What changes have you made to your skin care lately?